Whether you're buying or selling residential home or commercial property in Campbell River you'll be glad you've contacted Stephen Grant. Stephen is a Top Seller at ROYAL LePAGE Advance, providing excellent, friendly service, selling both Campbell River residential and commercial real estate since 1990. Browse this website to find most of the Campbell River real estate information you'll need on buying and selling houses, condos, lots, townhomes and commercial real estate and more. You'll find links to properties available in Campbell River and surrounding cities, a convenient link to a mortgage calculator and links to local news, weather, tides, recreation and transportation information. Don't miss Stephen Grant's service guarantee. For more information on buying or selling commercial or residential property in Campbell River call or email Stephen Grant today for guaranteed personal service. 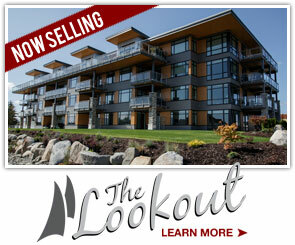 You are on your way to getting the best in Campbell River Real Estate!